The World Economic Forum's (WEF) 2018 World Competitiveness Report ranks the United States No. 1 in global competitiveness, up from No. 3 in the past few years and its first top ranking in a decade. A high ranking matters. As the WEF reports: "Global competitiveness is determined by the set of institutions, policies and factors that determine the level of productivity of a country ... And productivity leads to growth ... and improved well-being. The U.S.'s top ranking therefore suggests a lot of growth and prosperity to come." According to the Davos elite (who are no fans of Donald Trump), the U.S. is indeed "great again," to borrow a Trumpian slogan. It is the country, according to the WEF, that should best prosper in Davos' "fourth industrial revolution." As the world's most innovative economy, America is well positioned to take advantage of the new competitive environment. This should be welcome news for the Trump administration and a Republican Party fighting to retain control of Congress. Which countries, they ask, will better be able to compete in the age of social media, robotics, big data and whatever else may come. The 2018 World Competitiveness Report ranks countries according to 12 productivity-enhancing "pillars," among them legal institutions, infrastructure, macroeconomic stability, skills of the labor force, product and labor markets, the financial system and innovation capability. The U.S. ranks in the top three in more than half of the categories and is in first place in three categories - labor market, the financial system and business dynamism. The U.S. trails only Germany in innovation capability. If we drill down inside the pillars, we see why the WEF has awarded the U.S. its top ranking: Our labor market is flexible, unlike highly regulated labor markets elsewhere. Employers hire and fire freely, redundancy costs are low, wage determination is flexible and professional management is the order of the day. The strengths of the U.S. financial system are its promotion of business formation and innovation through its provision of capital to the private sector, its financing of small- and medium-size businesses and lively venture capital markets. U.S. dynamism is reflected in its positive attitudes toward entrepreneurial risk, efficient bankruptcy procedures and the fact that innovative companies are given room to grow. Factors that promote innovative capacity are such things as the highest quality research institutions and strong cluster development. On the politically-charged issue of infrastructure, the U.S. ranking is relatively high with the world's best road and airport connectivity and electrification rate. If we exclude the two city-states (Singapore and Hong Kong), U.S. infrastructure ranks No. 7 behind Germany, Japan, Korea, Netherlands, France, and Switzerland - all noted for their excellent infrastructure. On Trump's signature deregulation actions, the WEF ranks the U.S. second (behind Finland) in the efficiency of the legal framework in challenging regulations. The WEF's World Competitiveness Report speaks to the political divide facing U.S. voters as the midterms approach. Davos, as a representative of the world's industrial and financial elite, is interested in policies and institutions that promote productivity and growth. Hence, the report does not cite data on income distribution, fairness and identity politics because these issues are not considered prime determinants of technological progress and growth. New technology is regarded by the left as a means to displace workers and knock them out of the middle class - a view, by the way, that crosses the political spectrum. The No. 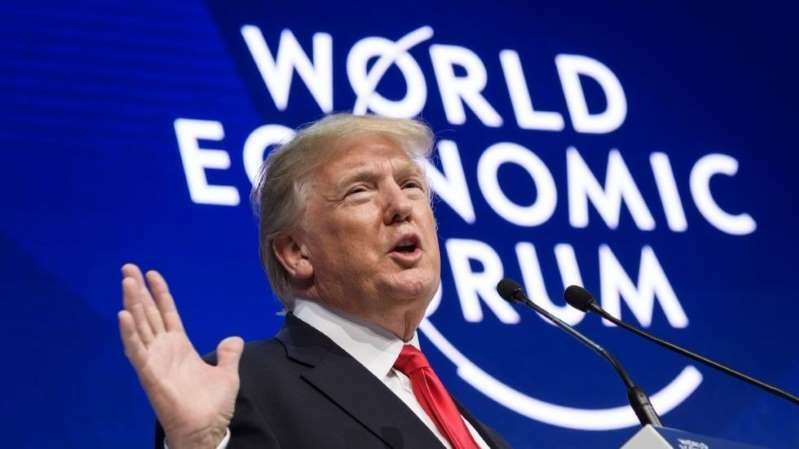 1 ranking of the United States as the world's most competitive economy by the world's elite shows that those who value productivity, innovation and growth may be coming around to Trump, despite his inflammatory tweets and rhetoric. Have they decided that what counts is results and not persona?